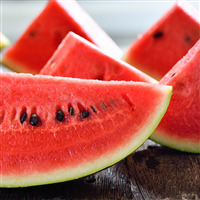 "Watermelon Mania Fragrance Oil 277"
COMMENTS: This is truly a watermelon fragrance. COMMENTS: This wasn't quite what I was looking for, I wanted a watery watermelon smell, more true to life. This smells amazing but it's a candy watermelon smell. Just like a watermelon jolly rancher. It might be too sweet for my intended use but I'll probably make something for myself. A fun summer smell! "Yummy and perfenct for summer products"
COMMENTS: Great throw and will be trying for room spray! "Love the smell! Traces fast!" COMMENTS: This is my favorite watermelon scent I've found however it traces incredibly fast. COMMENTS: strong scent retention, did not discolor my soap or bath fizzy. big hit with my customers. this is my go to fragrance oil for bath bombs. COMMENTS: Smells so good you could eat it! "Nope! Do not use for CP soap"
"Seized my cold process soap within seconds "
COMMENTS: This is a nice scent. Actually smells like watermelon. Tried it in my cold process soap and it turned it into a ricey seized up mess in no time flat. Trying to rebatch it now....disappointed. • Not for cold process soap. COMMENTS: This fragrance is most favorited by my customers! It smells just like a tangy watermelon candy! "This is a great pick.I can't wait till summer!" COMMENTS: Smells just like a slice of melon.You can almost taste it.Excited to see how well my watermelon soap does this summer. "Worked perfectly for my MP watermelon soap!" COMMENTS: I’m not a huge fan of the true watermelon scent but it was what i needed to make some melt and pour watermelon bars and it smells just like a watermelon which is exactly what I needed. The soap turned out great and smells just like a slice of watermelon. COMMENTS: Smells like watermelon jelly ranch or air heads. Very popular! "Simply a slice of Watermelon!" COMMENTS: The reaction I get when allowing my customers to smell my soaps made with this lovely fragrance is worth the using of it! It really does smell like a great slice of Watermelon. COMMENTS: Delicious candy watermelon scent. Sweet and fruity. I love this one and so do my customers. "My grand daughter (10 yrs old) Love this fragrance"
COMMENTS: I made hair perfume for all of her guests at her birthday party! It was a definite hit! "Smell is dead on "
COMMENTS: If you think of watermelon explosion in your brain, that is what this smells like. Strong and intense. If my hubby likes it, I know it’s a keeper, and he liked this one. COMMENTS: Used in cold process and made a watermelon soap with no problems. Customers loved it. Used the scent in bath fizzes and melt and pour. I love thatit is such a refreshing fragrance and great for the summer time months. COMMENTS: Smells AMAZING! I would have given 5 stars, but my soap batch partially seized. I was able to smooth with my stick blender though. I can't stop smelling this fragrance oil! COMMENTS: This smells amazing! Went perfectly with my watermelon shaped soap molds. Smells wonderful, works easily in Melt and pour soap. can't wait to try it in CP soaps as well! I'll definitely be using this regularly! COMMENTS: Amazing scent! Clients loved it! "Water Melon mania fragrance "
COMMENTS: I don’t have many clients who love fruit fragrance. Malon has proven otherwise. My clients have requested this fragrance in other products than soap. I noticed this works well in Melt and pore than Cold process. I however I didn’t have any problem working with it in CPS. COMMENTS: This watermelon is more like Jolly Rancher watermelon candies. My customers go crazy for it every summer. For personally sue, I tone it down a little with fresh picked watermelon fragrance. It is just awesome! COMMENTS: This stuff smells so good I just want to drink it?? I love this in my melt and pour soaps, scrubs and 415 soy melts. Great performance. Thank you. "smells just like Hubba Bubba watermelon gum!" COMMENTS: smells super yummy i loved it!! very strong as well!! a little goes a long way! COMMENTS: Summers Best fragrance ever. COMMENTS: This fragrance smells like summer. Crisp, refreshing and fun for children. COMMENTS: This smells just like the jolly rancher candy! I had to order more! COMMENTS: I was a bit apprehensive on trying something complicated with this FO, after reading some of the reviews on acceleration. However, I decided to go for it. I did you a very slow tracing recipe at room temp. I actually had WAY more time than I had planned to work with it. It didn’t rice. It didn’t seize. I did take into consideration that the vanilla would discolor the end product and am very pleased with how it turned out. I would definitely buy and make this again! COMMENTS: This is a very nice watermelon. Smells like watermelon bubble gum. Have never tried it in soap, but love it for bath bombs. COMMENTS: This is a great watermelon scent!! Smells perfect in my lotions and bath bombs!! COMMENTS: Used in CP soap. Smelled great but seized as soon as i poured into soap mixture. Most of my customers loved the scent, however. Next time i know to pour and immediately pour in mold. COMMENTS: Summertime favorite and kids love it year round. Smells true to watermelon. Very refreshing scent. Not overly sweet. Great in soaps, bath bombs and lotions. COMMENTS: I've ordered this scent about 4 times and I like it. It smells just like Watermelon. COMMENTS: Yes, it decolorizes and accelerates the mass. But it's easy to decide - use one color, use a vanilla stabilizer. This is a magical scent. All customers are crazy. This is amazing!!! COMMENTS: This is a great melon fragrance. Customers love the watermelon scent. COMMENTS: My customers, family and myself find ourselves loving this fragrance. I bought it as a sample to see if it would be a good summer one to add to my soap line. I must say it is a keeper for sure. It was easy to work with performed well. COMMENTS: This is one of my favorite scents from MSP so far. I had no trouble with it in my hp soap but next time I will use more because I can barely smell it after 2 weeks. I think that has to do with me not adding enough of it so, I will try it again and use more next time. I made some sugar scrub and body butter and they smell so good you will almost want to eat it. COMMENTS: This FO is a clearly identifiable (to me) watermelon scent and I really like it. It's quite versatile, kind of like a black dress. COMMENTS: We made a melt and pour soap with this scent and all of my friends and family loved it! COMMENTS: Wow! This is the best Watermelon Fragrance oil ever!!! Created scrubs with it and tested it at a new location. sold out. Buying more!!! COMMENTS: This is a favorite that I'm sad to say will be only a summer scent! Can't wait to bring it back next summer! Makes awesome whipped soaps, scrubs, and body butters. COMMENTS: I absolutely love this FO. I regret not buying a large size. Used in my lotion and love it. It's not too overpowering. Will definitely buy again and recommend as well. COMMENTS: I used this in melt and pour to make some watermelon Popsicle. "It didnt seem very strong"
COMMENTS: Smells just like watermelon candy/gum. Worked perfect in our clear soap bars (added red/pink liquid soap dye) Amazing summer time smell!!! 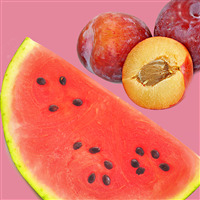 "Watermelon Mania Fragrance Oil 277 "
COMMENTS: I like it and smells just like watermelon. I am not to fanatic about it, but for whoever is would love it! COMMENTS: This is awesome!! I made watermelon Mania cupcakes, watermelon "slushes" with the straw and Watermelon Popsicles! When they say Mania, it really was! Lol! This will stay in my summer line! COMMENTS: Didn't work well in my cold process soaps. Turned my bright yellow to olive color. COMMENTS: I got this as a free sample and it is an awesome summer time scent! COMMENTS: This one I LOVE!!! It smells amazing OOB and I blended with melon ball for my lotions and it's a definite hit! COMMENTS: I use this scent for sugar scrubs and kids soaps and this scent always flies off the shelf. The best watermelon scent I have tried from any company! "Summer favorite. Great price. " COMMENTS: The smell on this is magnificient! 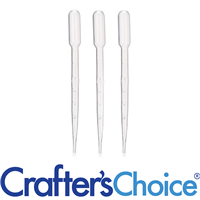 It is very long lasting & all products made with this get great feedback. Will buy again & again. "Do you like Jolly Ranchers?" COMMENTS: I LOVE jolly ranchers. If you do too, this one will satisfy your cravings! Smell is sweet and perky! COMMENTS: This is by far my favorite watermelon fragrance oil. It's strong and beautiful. Clearly watermelon, but there is some complexity as well. Unfortunately, I can't use it in my watermelon soap design which is a pink-red base with black teardrop "seeds," and a white and green "rind." The base soap needs to be fluid for the funnel teardrop technique to work, and this FO accelerates quickly. It also discolors significantly. Will try it in bath bombs. COMMENTS: This is a great watermelon smell. Using in Bath Bombs.
" Seized Immediatlely in Cold Process soap,"
COMMENTS: Loved the fragrance but seized immediately in my Cold Process Soap, Hope it does better in Bath Bombs. 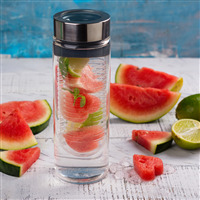 COMMENTS: Fun, fresh, & juicy watermelon scent! Love it! "Will buy again and again"
COMMENTS: I used this fragrance in watermelon bath bombs. It smells just like the large watermelon bubble gum from my childhood. I had many customers who were also in love with this scent. I sold many watermelon bombs that day! "Made a watermelon stayed strong filled the room!" COMMENTS: I made a watermelon melt and pour with the half moon mold and everyone loved it! You could put a slice in your bathroom or kitchen and it would fill the whole room with fragrance (this was a week or two after I made it). Really a good true to scent, also, I would and did buy it again! COMMENTS: This is by far my favorite fragrance. Opening up the bottle you know it is the aroma of watermelon. When my husband came home I had just finished making Fizzies, and salt scrub he commented "Watermelon for dessert. I just chuckled and showed him what it was. The next day he brought home Watermelon. COMMENTS: Smells like the real thing. Made me hungry. COMMENTS: Little goes a long way. I used it for bath fizzies grandchildren loved it. Good seller at farmer market. Will be buying lots more! COMMENTS: This smells like fresh juicy watermelon! Yummmm!!! COMMENTS: I LOVE this scent! I used it today in my bath bombs and my whole house smelled like watermelon snow cones! I know it's going to be a hit so I already purchased the 161oz bottle! I love it! COMMENTS: Used in a loaf of bubble cake and it smelled wonderful. COMMENTS: This scent is amazing for summer themed products! Cmells just like a juicy watermelon! It's a great value for the price too!! COMMENTS: I was honestly a little disappointed with this purchase. I was hoping after dispersing it into my products that the smell would mellow out. Not my favorite though! "A bit over powering "
COMMENTS: The scent was very fruity but a bit over powering. A little goes a long way. COMMENTS: I love this FO. I would definitely buy it again. I used it in bath bombs and kids lego soaps. It smells like juicy watermelon. Two of our family members thought it smelled a little like watermelon bubblegum. Personally, I did not smell bubblegum undertones. I thought if anything maybe watermelon jolly rancher candy. COMMENTS: I got this for my granddaughter as watermelon is one of her favorite scents! It smells just like a jolly rancher watermelon candy! Very nice in cp soap and bath bombs. No acceleration. COMMENTS: Love this fragrance oil. Smells so sweet and juicy. Will continue to purchase. COMMENTS: This FO is a cross between a fresh slice of watermelon and watermelon candy. It's a great fragrance that is popular with all ages. Love that it's safe in all applications too. 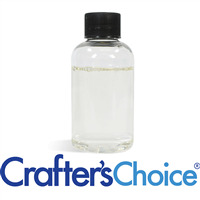 COMMENTS: I used this fragrance with a watermelon M&P design and it became an instant hit with my customers. I've received so many compliments on this fragrance. I'll definitely use it again. COMMENTS: Definitely is a dupe for watermelon jollyranchers. Smells so good, everyone loves this watermelon scent. COMMENTS: This is an awesome , strong scent that lasts in my cp soap. I did give it a less than perfect rating for two reasons #1 acceleration and discoloration. I have to use vanilla stabilizer but be warned it will still eventually discolor. "Watermelon Mania... Loud and Proud"
COMMENTS: This fragrance is really strong. It held up nicely in Cold Process and 'stuck' like glue. This fragrance will accelerate so I soaped at room temperature and it behaved well. No ricing. 2% Vanillin so it will discolor without a stabilizer. COMMENTS: I used this scent in my bath bomb for kids line and it is amazing! COMMENTS: However, the bath fizzies fly off the shelf so the customers really like it. Ordering more soon! COMMENTS: I ordered this for a special order of bath bombs...The fragrance was strong and held its scent. The customer loved her bath bombs. "Lovely scent, didn't work well in CP"
COMMENTS: Caused my soap to seize, then separated out, almost immediately after mixing in. I loved the scent, though, it was wonderful! Will probably try again with a different, slower tracing soap. COMMENTS: The SECOND I put this in my CP soap batter, BAM! Solid. I could turn my bowl upside-down and it didn't fall out. Unbelievable. It's a lovely scent, so that's nice, but beware--if you are going to use this, work FAST and use a low-acceleration recipe. I was even soaping at low temps. I managed to squish as much as I could in the mold and then after 24 hours, I chopped and shaved and managed to salvage some bits. COMMENTS: This is a great kids fragrance! It smells so good, a lot like watermelon jolly ranchers. COMMENTS: Got this on a whim thinking I need to find some new summer scents. I'm so glad I did. Tried it out in soy candles. Smells amazing!! such a refreshing watermelon scent. I already have a bigger bottle in my cart to purchase a bigger size! cant wait to try it in CP soap! COMMENTS: After reading the other reviews, I knew I would have to work fast with this one, so I used my slowest moving recipe and had everything ready to go. As soon as I hit a super light trace - BAM! Soap on a stick. The smell is fabulous though. I will stick to using this one in bath bombs, lotion bars, and MP soaps. COMMENTS: This really smells like a juicy watermelon! I get so many compliments on this fragrance! COMMENTS: Smells Just Like Watermelon!!! COMMENTS: Holds up well in my CP soap. Kids loved it! No issues. "Packed full of watermelon smell"
COMMENTS: This is a very fresh watermelon scent and true to its name. COMMENTS: This fragrance smells absolutely fabulous; however, it caused my soap to seize instantly. I can't use it again for soap, but will try it in a bath bomb because the scent is mouth watering wonderful! COMMENTS: Used in 100% soy melts. This smells JUST like watermelon bubblegum. Customers LOVE this one! COMMENTS: I love this Watermelon scent. It sells so well during the summer. I will definitely keep buying this scent. COMMENTS: Great scent that holds up in CP soap. COMMENTS: This is my top selling soap in the summertime. Little kids love it as well as adults. Its a sure crowd pleaser. "Smells like watermelon Jolly Rancher candy"
COMMENTS: This is a great summer scent and has been a great seller. Scent says after curing and smells wonderful. 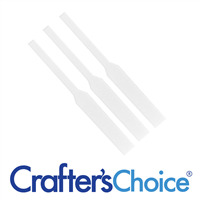 "Crafters Choice™ Watermelon Mania Fragrance Oil 27"
COMMENTS: Crafters Choice™ Watermelon Mania Fragrance Oil 277 smells like yummy jolly rancher!! COMMENTS: I made this for people at work and they were amazed at how great it smelled. Its so refreshing that I have not only used in my MP but also my sugar scrubs! "Love the scent not the seize." COMMENTS: I've made two batches of this scent, I CPOP'd the first one and my mica morphed into a peach color, the second tone I made soap I figured I would not CPOP it and maybe the color would be better. I changed to a pink mica instead of the pinky orange one I'd used before and in between layers my white layer got too hard! Any way it oozedoil and was pretty much a flop. I haven't given up just decided to make each layer as like doing a separate soap, make the green soap first, then the white soap and lastly the pink! I'm determined to make this work! It does smell fabulous! COMMENTS: this scent smells so good in my soaps, very sweet and smells just like watermelon. I get a ton of compliments on this scent. COMMENTS: Sure smells like watermelon jolly ranchers to me. But my customers (and my 16 year old son) go CRAZY for this scent! Can't loose with watermelon! COMMENTS: I used this to fragrance my watermelon themed soap. The smell is sweet, strong, and long-lasting. you will have to move quickly. but I soaped at lower temps. ( thanks to reviews) in order to be able to do my designs. "Never make the same mistake twice!" 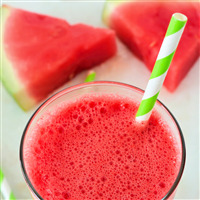 COMMENTS: I had purchased watermelon mania in the past and everyone that had used it raved about it! Telling me how wonderful it was and just loved the product overall!! This was was wonderful! I then decided to do a outtake bargain shopping for my watermelon fragrance because they all have to be similar right?? Wrong!! It was horrible the amell was nothing like watermelon and I am so disappointed.. But lesson learned I just ordered more watermelon mania and have to begin again!! COMMENTS: Love this smell. Minimal discoloration and works well. COMMENTS: In a BAD way. Thickened up to cement instantly, almost looked like it was going to separate. But, on a good note, smells amazing! COMMENTS: I love this fragrance! I love using it in CP soap. It does move a little fast in CP soap but not too bad. If you are using a lot hard oils ( cocoa butter, shea butter, beeswax) Be sure to move quickly.I have some bars made with it that are 8 months old. It does fade a little. COMMENTS: If you are looking for a true watermelon smell than this is not for you but if you are looking for a jolly rancher watermelon smell then this is what you need. It is decently strong and a great scent to keep in stock for spring and summer months. COMMENTS: This is my favorite watermelon scent. It truly smells lime the fruit but without the candy smell. Overbought another watermelon scent called fresh picked watermelon and it doesn't even compare to this one! It's my all time favorite! COMMENTS: I love the smell of this fragrance oil, but unfortunately it seized my cold process recipe almost immediately upon introduction. I've been soaping successfully with the same recipe for years, and I have to say - this particular oil behaved very badly. I'm disappointed as I had high hopes based on the wonderful smell. "Favorite by my whole family"
COMMENTS: This smells like true watermelon and we love it! Works well with cold process soap. Highly recommend and will buy again. Was not disappointed! Thank you for a wonderful product. COMMENTS: My first bottle of this was from a garage sale. The lady said she had had it 5 years. I used it in soaps for my beginning soaps I used in my home. It was amazing. Smelt up my entire home! I have ordered other watermelon FO but nothing compares to this one. It is very strong but smells exactly like sweet watermelon. Some acceleration so you have to go quick but really worth it! COMMENTS: I wanted some 'kid's' products, so I used this to make fizzies. They were so popular that I made lotion and soap and make sets with them. COMMENTS: This is one of my top selling Lip Balms, my customers love it. I use this for Lip Balms, Bath Bombs and soaps, customers love it, fresh and uplifting. COMMENTS: Since the watermelon fragrance oil I had been using was discontinued on another website, I was in search of a new one. Although it is definitely still useable, this fragrance oil was a bit sweeter than I was hoping for. No resemblance of fresh watermelon. It smells very artificial, like watermelon snow cones and watermelon jolly ranchers. If you are looking for a sweet fruity oil, you found it! Behaves average in melt and pour. I did not have any issues using it. COMMENTS: Wish it had a little more staying power, but it smells great. Kids love it in m&p. COMMENTS: Love this product. Our customers love it too! We use it in facial scrubs as well as lip balms. You can not go wrong with this scent! 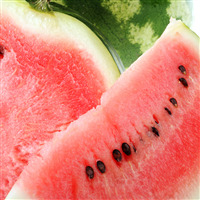 COMMENTS: I have made watermelon soaps with this as well as lotions for my summer product line. Very nice Scent. COMMENTS: Smells great, a little seems to go a long way in M&P, but seemed a little weak in lotion. May be the hand pouring it. Will re-buy, my customers love it. COMMENTS: I love the scent although I can see why others say it smells like bubble gum. That doesn't bother me as I am using this scent for children's soap. What did bother me was how fast it accelerated trace and then seized. I wasn't able to create what I had in mind but I was able to quickly plop batter into mold before it seized. Maybe it works better in M&P. If there is a next time I will pour at emulsification. "Cool Watermelon on a hot Summer's day !!!" COMMENTS: This smells wonderful !!! I did not use my Vanilla Color Stabilizer when I made my Watermelon & Sea Salt Exfoliating Soap....needless to say the soap turned a little dark on me...it ended up looking like an Early American tole painting !!!! It smells wonderful though....just like eating cold watermelon on a hot Summer's day !! !